As a visitor of Berlin for the first time you have many possibilities when it comes to visiting touristic attractions. On one day you will most likely want to see the attractions which can be found in every tourist-guide: Reichstag, Brandenburger Tor, Tv-Tower. But if you visit Berlin for several times or have more than just a weekend, you might also want to get out of the city and enjoy a less touristic area. The Teufelsberg is one of these attractions which will not only enable you to relax but also have a great view over Berlin. As can be read in an earlier article, the Fernsehturm is the largest building in Berlin. You can visit the tower and watch Berlin from a height of more than 200 meters. Clearly this is something you have to do when you visit Berlin, but the are also cheaper and more alternative ways to have a great view over the city. The Teufelsberg for example, does not reach 200 meters but certainly gives visitors an amazing sight. In comparison to Alexanderplatz, where it is busy and crowded, this location is so much more relaxing and quiet. If you love it green you will love the fact that there is many nature around Berlin. Personally I can easily take half a day to visit the Teufelsberg and get out of the city for a while. The mountain itself does not necessarily demand that many hours but because the Teufelsberg is located in the middle the forest of Grünewald there is plenty of other things to do. Especially during the autumn it is great to take a walk near the water (the Havel), feed the swans and ducks or search for some mushrooms. If you get hungry along the way there are two restaurants/biergartens next to the water. As can be seen on the photos, the view from the biergartens is spectaculair. It is great that places like this also offer very reasonable prices because they are a bit further outside of the city. If your looking for another idea: it also might be cool to bring your own food and drinks and organise a picknick on top of the Teufelsberg itself. Grünewald is a state in the west of Berlin and has a property of 22,3 square kilometers. The fact that only 10.000 people live in this part of Berlin shows how green and silent this part of the city must be. The name of the Forest was descended from an old castle in 1543. During the Second World War, the train station in Grünewald was used to deport more than 50.000 Jews to concentration camps. Right now you can still find some memorials who remember visitors of these horrible times. Besides the great view, the Teufelsberg is also a great place to visit if you like kiting. 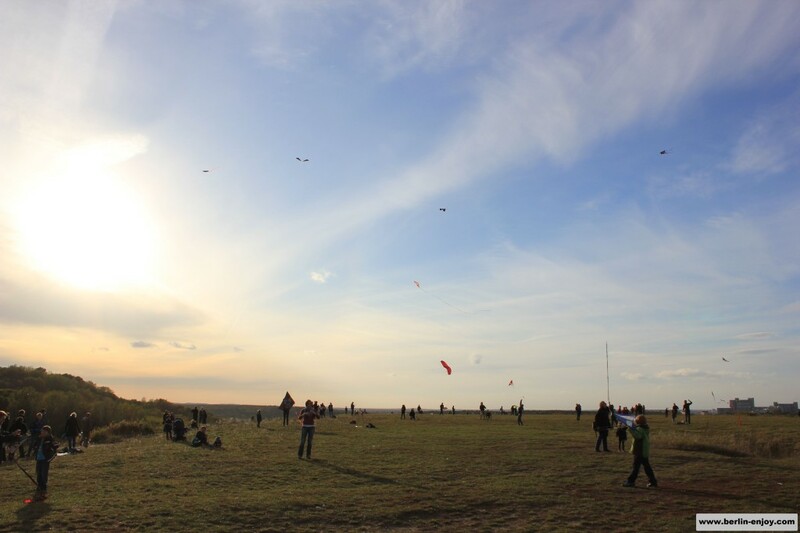 Because it is quite windy on top of the Teufelsberg, people come from far to use this spot for their kites. This creates an impressive picture as you can see on the image below. 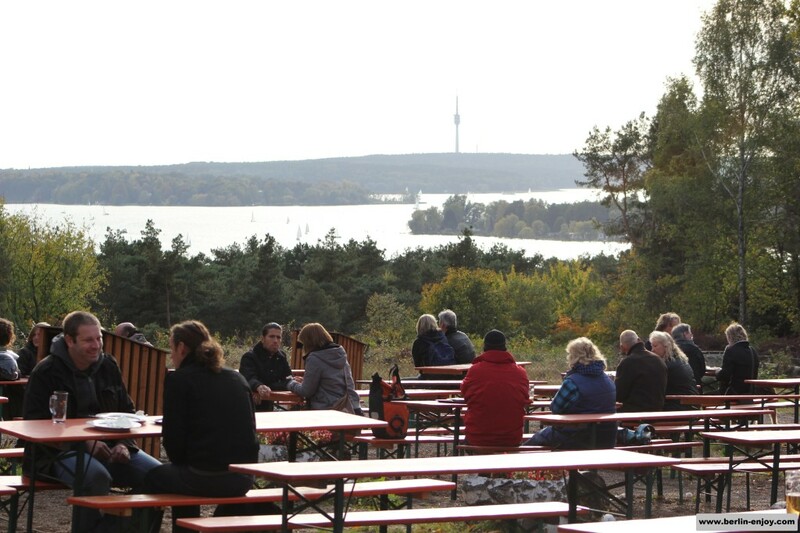 The Teufelsberg is also a great place to have a picknick: With the great view, the green environment and the quiet surroundings it is just awesome to spend some time here. The emergence of the Teufelsberg was closely related to this same Second World War. After the war, all the rubble which was found in the city, had to be removed and ended up “under” the Teufelsberg. The Teufelsberg has a size of up to 12 million cubic meters and consists of many parts of the city of Berlin. This volume of the mountain is sufficient for about 400.000 buidings. This numbers show us once again how immense the damage must have been after World War II. If you look to the other side from the Teufelsberg, you can see the the listening station of the U.S. Secret Services. It is not used anymore but still a great spot for photographers and adventurers. You will actually find this ball in almost every book or website about abandoned places in Berlin. Berlin is great place but it is still a large capital with millions of people. There are always many tourists and people who are in a hurry. You get what I mean: The city-center can feel crowded sometimes. Especially for this reason it can be great to take a step back and enjoy a quiet day in the nature on and around Teufelsberg. 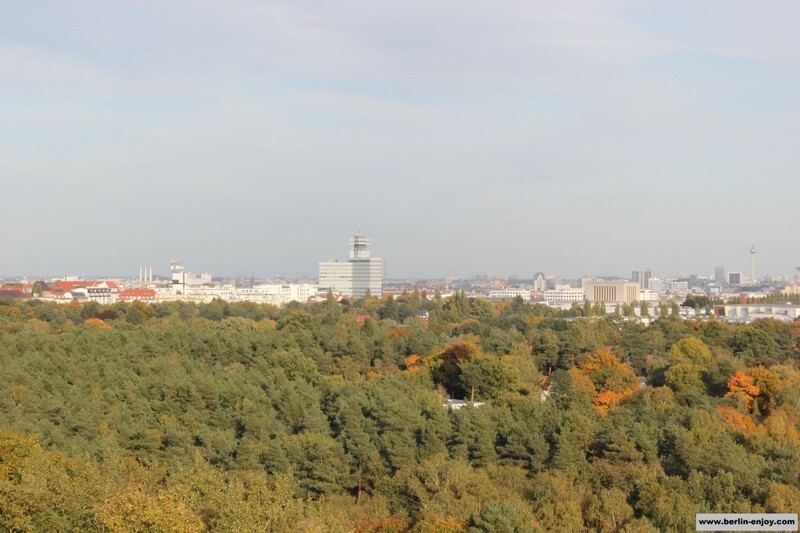 When you are walking in Grünewald or standing on top of the Teufelsberg it is hard to realise that you actually just half an hour away from the center of Berlin. I’m going to Berlin in April and this could be a nice place to visit. Is it easy to access the park by public transportation? Thank you for sharing such good tips. you will have to walk about 2km from the train station Heerstraße, which is a direct connection from Alexanderplatz. The walk is nice though, because you will be in a green part of Berlin most of the time. This article is great. I like to travel and explore the local culture. I am coming to Berlin next week.I think I will try to visit Teufelsberg.Thank you for the great tips.